New funding will help protect ancient woodlands from housing development and HS2. 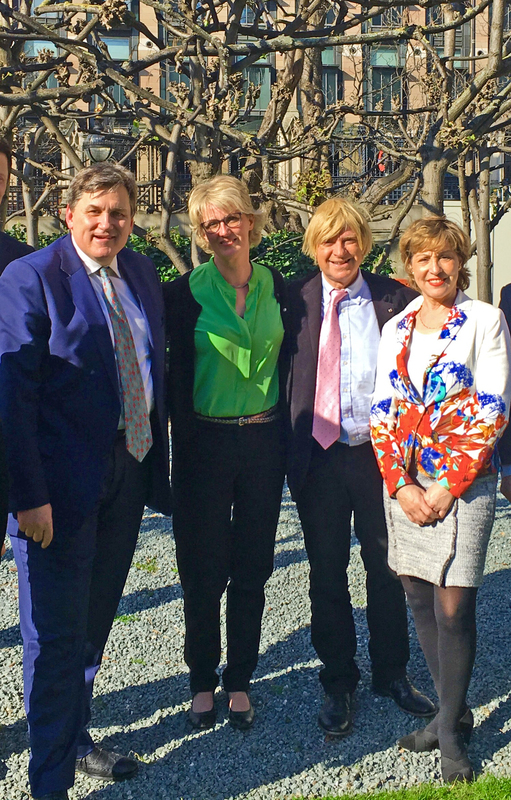 In January 2019, Michael Fabricant introduced a Parliamentary Bill which highlighted the urgent need to include smaller ancient woodlands in England (woodlands over 400 years old with a unique bio-culture) in an inventory which helps protect them against their destruction through development. See here for further details. The Government has now provided funding to initiate the updating of the Ancient Woodlands Inventory. Michael Fabricant says: “Last year, the National Planning Policy Framework was amended to give ancient woodland and ancient and veteran trees strengthened protection from inappropriate development. I warned the government back in January in presenting my Bill that this change would only be effective if planners and developers knew where all ancient woodland was located. The Ancient Woodland Inventory is a map-based record of around 52,000 ancient woodlands, but there are many more which are missing. These include most woodlands under 5 acres in size because mapping data was not available when the maps were produced some 30 or so years ago. “Modern mapping techniques using satellite surveillance can now be used. “So I am delighted that today (12th April) Kit Malthouse, the minister in the Department for Housing, Communities and Local Government, has awarded a grant to the Woodland Trust to kickstart a £1.5 million collaboration with Natural England to update the inventory. “The money will help to buy the essential historic data, recently digitised via the National Archives, which underpins the inventory. It will also support upskilling of staff to undertake this vital work. Ultimately the revised inventory will ensure better and speedier planning decisions, by eliminating the inaccuracies that cause confusion. “The National Planning Policy Framework states that development resulting in the loss of ancient woodland, or ancient and veteran trees, should be refused unless it is wholly exceptional. “It is important that housing developers as well as HS2 are aware that they should avoid all ancient Woodlands” Michael adds. The Minister for Housing, Kit Malthouse MP comments: “Groups like the Woodland Trust are playing a crucial role in protecting our green spaces, including our irreplaceable ancient forests, for future generations to enjoy long after we are gone. Woodland Trust planning adviser, Victoria Bankes Price says: “The existing inventory has grown to become an essential reference tool for planners and developers, policymakers, landowners, foresters, conservationists, landscape historians, and many others keen to protect and restore these special wooded habitats. “However, it was originally developed during the 1980s, when computerised mapping was in its infancy, and as such has many omissions and inaccuracies. This has in some cases seen ancient woodlands lost or damaged by development or inappropriate management simply because they are not recognised as ancient as they are not recorded on the inventory. The need to update it was brought to Parliament’s attention in January when Michael Fabricant successfully introduced an unopposed Bill seeking an update in England. The update will also provide baseline data to focus improved management and restoration of ancient woodland, ultimately increasing their long term resilience and value to society and helping target woodland creation and tree planting that buffers and connects ancient woodland fragments to create more robust habitat networks.